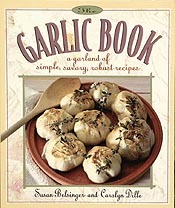 The Garlic Cookbook is A Garland of Simple, Savory, Robust Recipes. 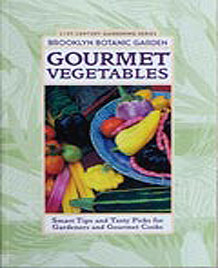 Alliophiles (garlic lovers) will delight in the recipes in this book featuring the “stinking rose” and benefit from its healthy properties. 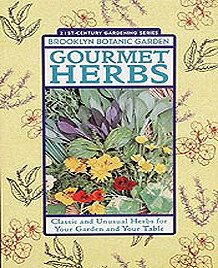 Instructions for easy cultivation, harvesting, and storage are discussed along with fun facts and folk remedies of this highly disputed herb. Rustic Italian garlic bread, chicken with 40 cloves of garlic, creamy garlic and mushroom sauce, 3 ways to roast garlic, and pickled garlic are just a few of the mouth-watering recipes. May the goodness of garlic grace your table! Susan Belsinger and Carolyn Dille, Interweave Press, 1993.